No doubt many Hull fans will prefer the thick stripes of last year’s home kit, but their new pinstriped home shirt -Â modelled here by Geovanni – takes me back to the mid-1980s, before the days of the Premiership and Sky Sports. It’s a happy place that smells of pies and Bovril. 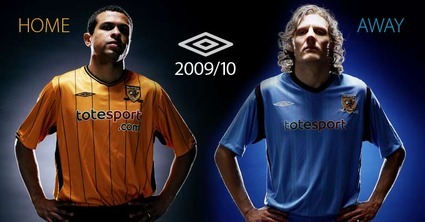 The away kit -Â modelled by a very scary-looking Jimmy Bullard – is nice and simple too, if a bit uninspiring. Overall though, it’s a good job by Umbro and one of the better new kits for next season. The kit will be available to buy on 25 July. 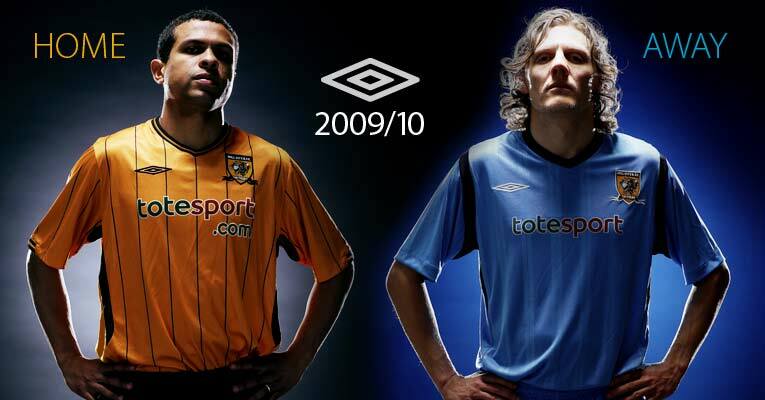 You might also have noticed that Hull have a new shirt sponsor. Karoo has been replace by totesport as part of a two-year sponsorship deal worth more than Â£1m (no one seems to know exactly how much though). I liked last year’s a little better. They gave the whole league a great first half of the season. I miss Dean Windass, the greatest name in sport. I miss Windy too, Murf.